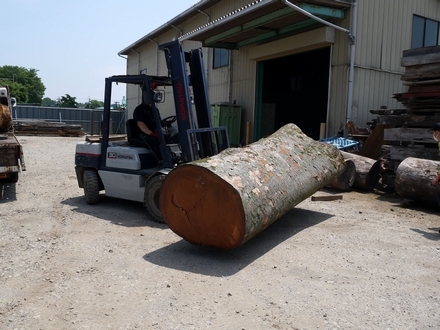 We cut and painted on an agent to prevent cracking on Zelkova, Gingko, Cedar, and other logs that we had bought at a tree log market. 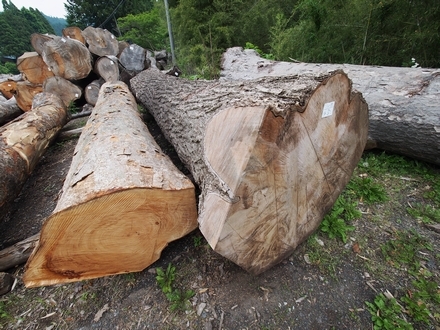 There were 3 truckloads of giant logs to process! 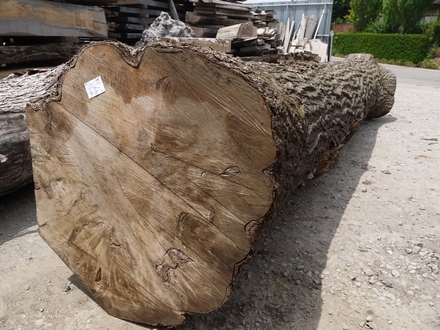 There were many unique and beautiful pieces. 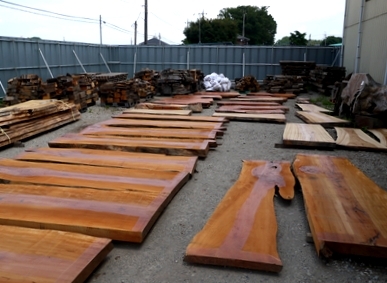 They will be put out to dry and mature outside for 3 to 5 years before they are sold at Kiraku Workshop! 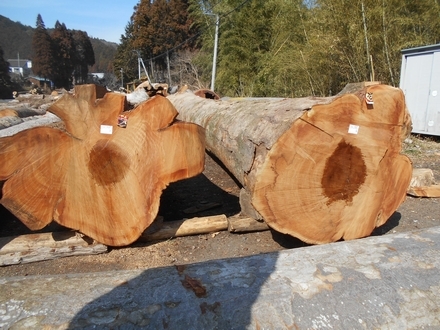 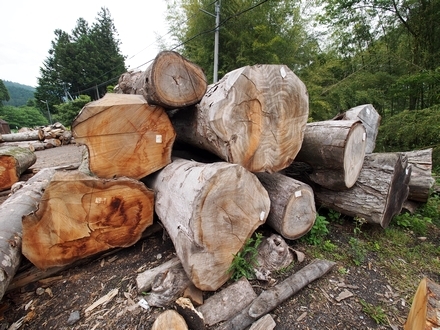 We went to Agano genboku(raw wood) center of Hanno-shi, Saitama-ken and bought logs of Zelkova and Ginko. 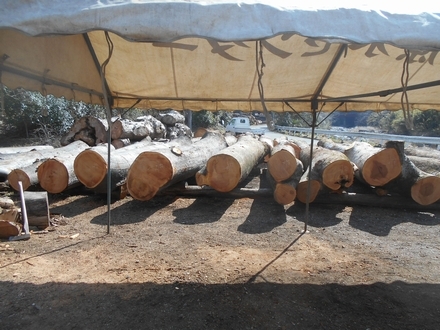 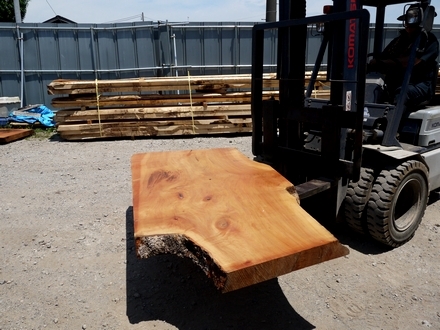 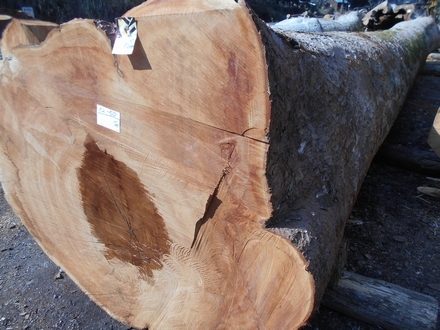 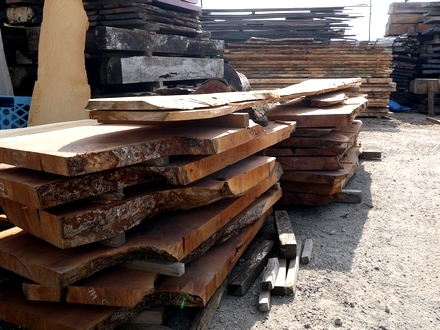 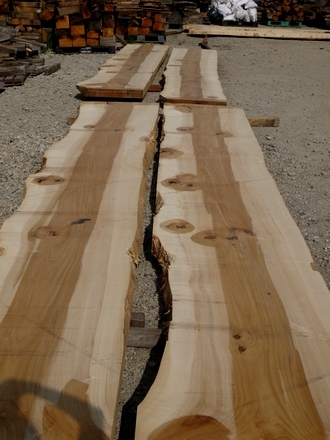 They will become sturdy, solid table tops after being sliced and then dried for several years. 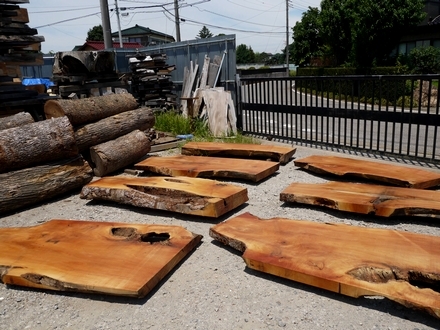 We are excitd to see how they will turn out!